Owning a home…for some, it is the American dream, but along with this dream comes a mortgage. In many cases, this means a payment for 30 years. Thirty years can seem like a lifetime when it comes to making a payment each month that likely exceeds $1000. However, just because the loan is for 30 years does not mean you cannot pay it off early. Paying off a mortgage early has its advantages and disadvantages. My husband and I bought our first house a little later than most. We went through the downturn in the market where houses were valued at far less than what was owed. We were fortunate enough to retain our jobs during this time and continue to make payments on the house. About five years ago we decided to make the move from Ohio to Florida and leave the snow and the house behind. Our consumer debt was paid off by this time, but we still could not get out of the house what we needed. We hired a management company and the house was rented to millennials. For five years, the rent showed up without fail and it covered our mortgage. Is Paying Off Your Mortgage Early a Bad Idea? In the last year, my husband and I had made the decision when the rental agreement was up with the renters we would put the house on the market. The renters actually opted out of the lease 5 months before the agreement was to end (they bought a house). After the moment of panic passed, I reviewed my finances to see how long I could comfortably carry the costs of the house. I figured if it sold within 6 months…all would be well. I got online and found a realtor in the area. Her credentials claimed she was a “multi-billion dollar salesperson” and one of the “top 100 realtors in the world”. Perfect…if anyone can sell the house quickly at top dollar, she should be able to do it. She encouraged us to put it on the market immediately (without doing anything to it, but cleaning it). Seven days after contacting this woman, we were in contract for $2,500 less than full asking price. Barring no unforeseen obstacles, we should walk away from this sale with $45,000 – $50,000. Now for the big question…Should would invest the money or pay down our current mortgage? There is a lot to consider here. What will it cost me in time and money to change nothing with my current mortgage and invest the money? What will I give up in investment earnings and tax benefits on mortgage interest, if I pay down the mortgage and don’t invest the money? The third option is to pay some of the money towards the mortgage and invest some of it. I’d look at your timing for paying off your mortgage. I would attempt to have your mortgage payoff beat or coincide with your anticipated retirement date. You may already have this without the additional payment. If you do, throw the money (carefully) at investments. I would be wary of dumping all money in stocks at the same time right now. A bird in the hand is worth two in the bush. Pay off your mortgage. When deciding to pay down or to invest, its wise to ask yourself a few questions. First, what is the interest rate on loan? Are the loan terms fixed, or can the interest rate change? If the loan rate is not fixed, it may be wise to pay down the loan rather than invest. Another option may be to refinance into a fixed rate if possible. Two, are you paying PMI (Private Mortgage Insurance)? Many people purchase homes with no or low down payments and end up paying PMI. The interest saved by paying down a low-interest loan may be nominal, and even debatable if you consider opportunity costs; however, the savings on eliminating PMI can be significant. Three, have you created a tax budget? A tax budget is an often overlooked component of a financial plan. Financial guru’s such as Dave Ramsey often suggest paying down the mortgage over investing. However, this approach can be costly. When considering taxes and retirement accounts, saving more in the future is not the same as investing today. There are many tax credits available, where contributing to retirement accounts could save 20, 30, even 75% of the contribution in taxes. Once you have considered the terms of the loan and the tax ramifications, it becomes a bit of personal preference. At today’s current low-interest rates, personally, I would be inclined to park the funds someplace safe with growth potential and keep an eye out for a great investment opportunity. Pay it toward the mortgage. No question. Reduce your debt as fast as you possibly can. Otherwise what tends to happen (just human nature) is you’ll find something else to spend the money on OR, even if you do invest it…. you have 50K NOW. If you invest it, you may not have that 50K in a year. You might have more, or you might have a tenth of it. The least risky scenario is nuke as much debt as possible. Focus on getting that paid off. Then you will have more $$ for other things. I view it as a question of asset allocation. Your mortgage is a bond equivalent. So you’d pay off your mortgage only in line with your risk-free asset allocation and invest the rest. I know financially it could make more sense to invest but I hate having debt so I would pay down my mortgage! 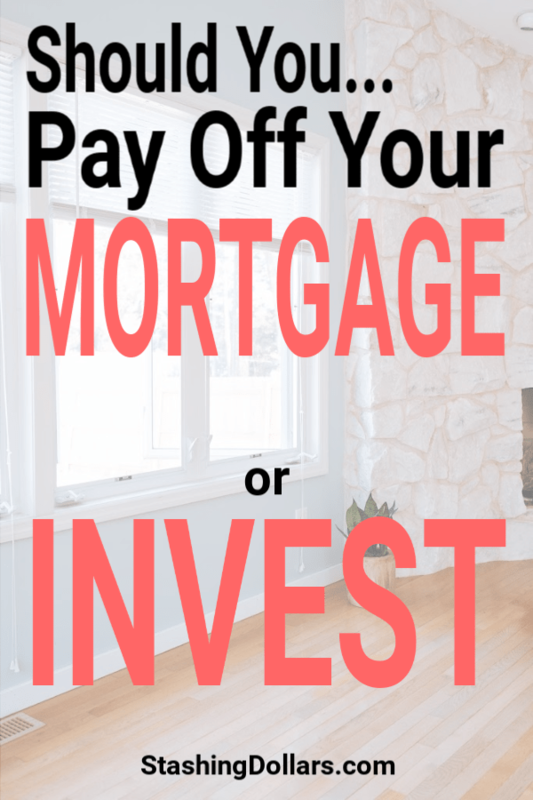 Plus by paying down your mortgage now, you’ll have more money to invest soon! I’m overpaying my mortgage massively every month and plan to have it repaid in the next year! I’m a huge numbers person. I believe in optimizing your money in the best way possible. Thus, I believe that you should first calculate your weighted average personal cost of debt. Here is an example of calculating your personal cost of debt. You want to attack your highest interest rate debt first, which will push down the weighting on your personal cost of debt. For every dollar you put in prepaying highest interest rate debt first you are saving money. If I can invest at an annual rate of 4.8% after-tax, I need my personal cost of debt to be below 4.8%. From there, you can either opt to save for anything that yields a return higher than your personal weighted average cost of debt. By doing this, I stayed motivated because it enabled me to save and pay down debt at the same time. I remained optimal with my balance of the two. It helped create urgency to both save and pay down debt. Marj got rid of my house AND my mortgage. I now save about $30,000 a year. I know someone who recently inherited some money and he chose to pay off his mortgage because he is in his 60’s and any investment wouldn’t have time to really pay dividends, plus he is close to retiring. I personally would do both. I hate debt, and am putting extra toward my mortgage monthly while also saving for retirement/investing. If you do both you can potentially save a ton in interest and reap the benefits of investing. Again, it probably depends on your age and the parameters on the mortgage, along with your personal preference. @Marj i’d put it towards my mortgage too, no doubt about it. Honestly in our area (SF Bay Area) that equity = an investment with big potential for growth anyway. I would absolutely invest it – at the end of the (long) day it’s a numbers game, and with mortgage rates being what they are you should be able to get a better return on investment than you would save paying off the mortgage. Also think about if you can get that money back if you pay the mortgage off. I have $50k equity in my properties that I tried to access the other day, but the banks won’t allow me to because they think I don’t have the cashflow to service the mortgage. That’s $50k of potential value sitting there doing nothing for me. House mortgage for sure… saving on all that interest over the life of the loan is almost an investment all on its own… you could invest the 50K and never see the return that equals the interest saved. Especially if it’s a 30-year mortgage! This is one of my favorite topics to debate. My vote is to pay the mortgage! However, every situation is different so it really depends. Check out the post and let us know what you decide! Pay down. My goal over the last several years has been to reduce my cost of living which therefore will give me the flexibility to (1) retire sooner and (2) travel When trying to decide whether you should pay off or invest I think about the return in investment. How much money will I make/lose if I choose one over the other. For example paying off that 50k might save me a lot of money in interest over time. If I am getting that same kind of return on an investment than it is worth considering. Otherwise I would definitely put towards my mortgage. If I had an extra $50,000 I would invest it. We are debt free including our mortgage, so I suppose I am cheating a little bit with my answer. However when we received a large bonus and even one that was unexpected we chose to add it to our investments. We made a significant shift to invest more because we felt that the option to pay down our mortgage with the extra money was more important in our situation. Also as an aside I would not make my decision in 45 days, I would put it into my money market savings and think it through more. Earning 2% interest rate while I clear my head isn’t so bad. I’d say pay mortgage! Achieving a debt free life is my ultimate goal. I am trying to work towards early retirement and that means paying off mortgage as early as possible. Hi @Marj! If you think you can get a higher percentage return from investing, numbers wise it might make sense to go that route, BUT getting a mortgage paid down or paid off gives a huge peace of mind to people. Not having a mortgage can be what makes the difference between financial freedom or not and is the one reason many have to work longer than they want to or at jobs they don’t necessarily like. If I personally had $50K I’d put it towards my mortgage since my hubby is retiring early in 5 years and we’re on a 5 year plan to get our mortgage paid off. Selling the 2nd property will make the earnings taxable, have you thought about investing in another property instead to get rental income? My wife and I have a concrete “order of operations” for how we balance reaching our financial goals. If we had $50,000 fall into our lap, we would immediately pay off the amount needed to get rid of PMI and the rest would be invested. Getting rid of debt is always a guaranteed win and will always improve your financial position, but investing it in the stock market has potential to be a greater rate of return! We don’t have a mortgage because we chose to pay it down as fast as possible and didn’t invest during this time. HOWEVER, if I were to have my time again I would split my money and pay some towards the mortgage and some into investments. With your $50k I would split it. 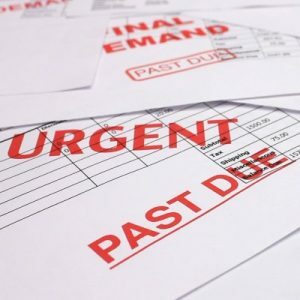 Paying down the debt is important for peace of mind and getting rid of the debt. Building up your investments is important to capture long term investments gains. I would put it towards your mortgage. I was in a similar situation recently and I was able to throw a large chunk of money at the mortgage. It was great. Of course, I’m firmly entrenched in the no-debt-camp. Also I wrote an article about keeping things simple. Don’t overthink it. Do what you know is safe and guaranteed. Pay off/down the mortgage. With all other fundamental factors considered such as your age, taxes and overall financial situation, I would most likely invest the money. I’m pretty sure that your mortgage rate is quite low already and depending on the type of investment, the possibility of that $50k yielding a higher return is better. Are you talking about investing in stocks, a business or another real estate property maybe? Like FinancialPilgrimage said. Each situation is unique. I place a high priority on maximizing all my tax-advantaged accounts. 4)After these accounts are maxed, I take the money that was going to # 1-3 and split it 50/50 to additional mortgage principal payments and taxable investing to VTSAX. For me, it is part math and part emotion. I know I can probably beat the 3.375% in the market but I also value the security of a guaranteed return. If or when savings accounts yield 3% I am thinking I will have to rework my plan. I’d probably pay down the mortgage. For us that would knock off about 5-6 years of payments, which is pretty awesome in the grand scheme of things. Great question and one many folks struggle to answer on a daily basis. Your choice may depend on your stage in life, job tenure and certainty, risk tolerance, financial goals, and other factors. Some might choose to maximize their expected return through investing within their risk tolerance. Others would prefer to pay off the debt early. The important consideration is what makes you feel the happiest. Mathematically (and financially), the best choice is almost always to carry the mortgage. 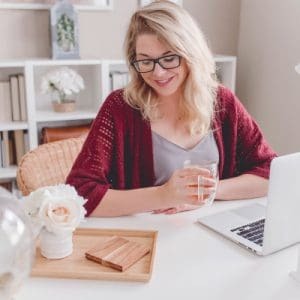 However, whether you’re a high-powered attorney with a budget to match or a teacher pinching pennies, most will like the idea of living debt free. Financial freedom holds a lot of value in terms of peace of mind. The comparative returns – You should consider the after-tax effective interest rate being paid on the mortgage and whether you think you can earn a better return elsewhere through investing. If you think you can invest for a higher return and can tolerate the risk, you should choose to invest. Private Mortgage Insurance (PMI) – If your current mortgage payment includes PMI, or insurance meant to cover the lender in case you can’t make good on your payments, this added expense might skew the math to favor paying off your mortgage faster. Sense of Relief and Security – There is peace of mind from knowing if the economy hits the skids, you lose your job, or some other financial setback befalls you, you will at least have a place to live. Ohh… I’d think I’d use it towards a mortgage (if I had one). But that’s because I live in a community where the average price of a house is around the $200,000 mark. So presumably, $50,000 would pay off a quarter! That would be too good to pass up. I am in a similar situation right now. We are selling one of our rental properties that will net us about $100,000. Your risk tolerance and psychology – would you sleep better at night with a paid off mortgage? How much is left on the mortgage? – Would $50k make a significant dent? I would prefer to completely pay off a mortgage and be able to use the additional cash flow for other things. If you put $50k toward it and still have a $200k balance, your mortgage payment stays the same and you don’t really gain a whole lot as far as monthly cash flow. Do you have any higher interest debts? – A mortgage is a liability like any other debt. Pay off the highest interest rate debts first. What is the interest rate on the mortgage? – If you took out the mortgage in the last few years you probably have a very low rate. We are probably not going to see sub-4% interest rates again for a very long time. What return can you reasonably expect if you invest the $50k? – If you are investing for the long haul, you should be able to achieve at least an 8% return vs. paying off the mortgage at 3-5%. I like crowdfunded real estate and generally expect to make 8% cash flow plus value add/appreciation for an overall IRR of 12-15%. Have you maxed out all tax advantaged investment vehicles for 2018 AND 2019? – If not, this is where I would put the money first. For me personally, I will probably put the money in the bank while I try to identify a few good crowdfunding investments. I think the commercial real estate market is peaking, so finding good low-risk deals is getting harder. If the stock market moves another 10% lower, I may funnel some money toward that instead. My mortgage is at 4%, so I am confident I can make a better return than that over the long haul regardless of what I end up investing in. yourmoneyblueprint talks about paying down your mortgage in guest post written for ESIMoney blog. Mark from The Retirement Spot comments…I would always pay off my mortgage first more for the psychological impact than the return I receive. There are many compelling responses for paying off debt and just as many for investing. At the end of the day, I don’t believe there is a “one size fits all” answer. Personally, I can find more reasons in my life at this time for paying the mortgage. I don’t have any high-interest debt, I have an emergency fund and I have maxed out my 401(k). Would I like to increase my investments? Who wouldn’t? I don’t see myself leaving my current home anytime soon. We bought it 5 years ago when the housing market was at its lowest. I live less than 2 hours from the Gulf Beaches and the Atlantic Beaches…not to mention I am less than 15 minutes from the Walt Disney World Theme Parks. The light seems brighter at the end of the tunnel when I think about paying the mortgage. If I pay $50,000 towards the principle and keep paying the same mortgage payment I am making now, I will be able to reduce the loans repayment period by 8 years and 8 months and save about $70,000 in interest payments. I still have at 30 days before the closing on the sale of my house and I will take time after that before making a decision on what to do with the money. Currently, having a smaller mortgage is a very appealing option. Great roundup! I’m still team pay off the mortgage, but there are definitely situations where I can see the case for not doing so. For example, if you have a really high mortgage and paying it off in less than 7 or so years isn’t reasonable. Also, if we were in a recovering market like 2011/12 I could see putting a bunch of money into stocks or real estate. Thanks for including me in your post! My pleasure. I am a teammate on team mortgage. Can’t stand having debt and that includes the mortgage. Great to see the wide ranging view from the PF community. It’s definitely a question I struggle with on a day to day basis. The choice does come down to the individual. I think that if you are considering the question itself you are miles ahead in terms of getting your finances sorted. There is no one-size-fits-all answer. It comes down to a lot of different things. The choice I made, just feels right.